Now I have heard of the NASA having a Mission Control Room for its space missions, but BMTC??!?!?!? Driver Kempanna: Shivajinager we have a problem!!! Control Room: Kempanna, This is Shivajinagar. Say again please. Kempanna: Shivajinagar we have a problem. We have run over a pedestrian, two scooters, three cars and a lorry. People are pelting stones!!! Control Room: Abandon bus immediately. Do you read me???? Kempenna: This is Kempenna reporting from a back alley phone booth. Bus abandoned successfully. Of all the Road Transport Corporations in India, I think BMTC is the only one that actually requires a call centre. BMTC Call Centre: Namaskara! This is the BMTC Call Centre. How may I assist you? Passenger: I am unable to board the 405 at Agrahara Circle. BMTC CC: Did you try running and jumping into the bus? Passenger: Bus number 303 doesnt stop at our bus stop even though it should! BMTC CC: And which bus stop are you talking about? Passenger: I need to go to Belandur. Which buses should I take? BMTC CC: hmmm You could take 305 but (lowering his voice) between you and me that driver Rajappa is a tad too drunk today. I would go by the numerous private buses. Much safer understood? Passenger: Understood....Thanks!!! You are a life saver! BMTC CC: We are here to help you Sir, thank you for calling the BMTC Call Centre. Have a nice day!! Passenger: The conductor of 104 refused to give me change!! BMTC CC: And what does his nameplate say? Passenger ( in a small voice): *gulp* Ok! Passenger: The conductor of route number 231 was misbehaving with my daughter. Passenger: You should provide for more buses on our route. We have only one bus coming every four days! BMTC CC: I am sorry Sir, but the money we kept aside for buying new buses has been used up to pay the 2,857 cases booked against BMTC drivers for haphazard parking, 30078 cases for killing pedestrians and 4000 cases for drunken driving and 50,000 cases for rash driving. You will now be automatically redirected to the office of the &%$#@ Traffic Police Commissioner where you can voice your protest against traffic cops who fine BMTC drivers. Be sure to raise your voice. Every voice counts!!! BMTC CC: Dont worry Sir, this call is absolutely free and is sponsored by the BMTC Union. BMTC CC: Even I want one!!!! har har har Sorry I am cracking up here hahahahaha BMTC and schedules??? hahahahaha!!!! Yes a call centre is just the ticket to a comfortable ride with BMTC! I have been tagged by Lady Malady of Confused, Toronto,Ontario,Canada (phew these royals have such long names brrr). According to the diktat of the Lady, I have to describe my first kiss. Well if you are looking askance at Lady Malady wondering if she was out of her mind tagging a single south Indian gal, then I have news for you. You will be surprised to learn that you are biased, prejudiced, Xenophobic and other bad things. If you think that all that a south Indian gal does in her youth is learn to make 'sambar' and 'avial' then you are right. But that does not mean we have no love life. We err...do!! Back to the tag....my first kiss was one of the most magical moments of my life. It was a puppy love kinda moment but one that I will remember for a long time. I have spent moments freaking out wondering how my first kiss would be but when it did happen it was so natural! Witnesses: 6 girls, a pile of charcoal roasted bhuttas (corn), a plate of sliced raw mangoes sprinkled with salt and chilly powder and half a dozen Dixie Cola bottles. The movie was half way through and a mushy romantic scene dominated the TV monitor. Our eyes glazed as we watched the beefcake hero take the pink candy floss heroine in his arms and give her a smooch that lasted exactly 1 min and 34 seconds ( Exact time not verified. According to Priscilla's watch it was 1 minute 15 seconds). This was the second kiss of the movie and hence the extension of 34 seconds. As we went "awww" in chorus, Jimmy Varghese sauntered into the room. He walked casually to where I was sitting and plonked himself oh-so-casually next to me. He had deep brown eyes and a really cute but naughty look on his face all the time. In short, he was a dream boat. I frankly didnt think this hunk who had girls gushing over him 24/7 would even look at me let alone acknowledge my presence. Soon we had the inevitable power cut and the girls trooped out to get something more to eat, leaving me all alone with Jimmy. I turned around to him with a nervous smile ready to make polite conversation when he leaned across and surprised me with a kiss right on my mouth. Taken aback I gasped "ewwwww" and rushed to the bathroom to wash my face with soap thanking God silently that Leah had the sense to give Jimmy his Rabies shot!!! 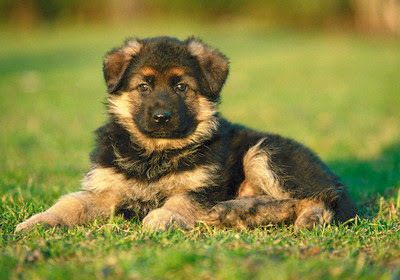 Alsatian puppies however cute and pampered enough to be given the family surname still need to be vaccinated. But *sigh* he was chooooo cute. Wokay back to the "avial" class....*sigh*! Recently I read this amazing post by a guy blogger describing the various methods he and his friends employed to ‘cheat’ during exams. I was awestruck at the intricate art of copying that this gentleman had perfected and if I meet this guy I am definitely gonna ask him his autograph. Anyone who succeeds in ‘copying’ in exams has my full respect! I have always looked upon ‘cheaters’ (pardon the term) as the ULTIMATE risk takers. Hats off to all you ‘cheaters’ out there, past and present. The post forced me to think of my rather shameful record in ‘cheating’. I am afraid if cheating were a subject in school I would still fail! :( Now peoples, this was not because I was too honest and all that. Absolutely not!!! I was as crooked as the next girl or boy. It’s just that I studied in a convent school…and convent schools are no place to mess around with venial, mortal or other kinda sins. I mean you can sin, but if you are caught… then even God almighty cannot help you! Sister Principal (spotting a student wearing nail polish): Come here young lady!!!! God (appearing from nowhere): You called me dear? Sister Principal to God: And who gave you the permission to walk into my office without permission???? *God disappears in a trice*! Believe me folks; girls who have studied in convents will laugh at the situation I have presented here. They would sneer and say that God got off too easily. In real life, things would be very unpleasant indeed. Sister Principal to God: You come right back here Gentleman! Sister Principal: And who gave you the permission to leave my office? Sister Principal: And for that act of disobedience write “I shall knock before I enter the Principals office” a thousand times. And…. NO CHEATING!!!! God (hurriedly cancelling the spell that writes the imposition magically): *gulp* Yes sister. Now a word about convent schools before we proceed any further. Convent schools for girls are hallowed Institutions where girls are trained in the rather difficult subject of being “good girls”. In fact each convent school thinks that they are tops in churning out the best girls in town. Sister Principal of St Mary’s Convent School: My girls are the best. By the time they pass out, they don’t even look at a guy, let alone acknowledge them. Sister Principal of St Agnes School: My girls are better! By the time they pass out they don’t even know what a guy is!!! Sister Principal of St Teresa’s: *sneer* Big deal!!! By the time my girls pass out they don’t even know they are girls! Hah!!! I win!! Anyways to get back to our narration about cheating, the first time I cheated was in primary school. It was art exam day and the teacher told us to do a “landscape”. Not having a clue as to what a ‘landscape’ was, I peeped into my neighbor’s drawing board for some ‘inspiration’, a little bit of ‘internalization’ and a dash of ‘plagiarization’ and was promptly caught and hauled to Sister Principals’ office for ‘cheating’. Sister Principal looked at me with a pained expression and asked. “Do you know how ashamed Jesus is of your misdemeanors?” I had no clue! “Look!! !” she said pointing a quivering hand at the Cross that hung on the wall behind her desk. “Look how ashamed Jesus looks!” I looked up with great interest. Jesus did look very ashamed of me. He was hanging his head in shame (something I had not noticed before). I could almost imagine the trouble he got into because of me! God: hmmmph!!!! Look at your ward, silverine! She was caught cheating!! Jesus: *sigh* Please forgive her dear God for she knew not her portions! God: I am giving you one more chance. If she makes one more trespass I will have to remove her file from you and give it to St Michael the demon slayer. Jesus: Thank you God you are so kind. I promise you she will never sin again. God: *grumble* This is giving me a headache! I gulped as I thought of the horrific painting of St Michael or some saint that hung in my ancestral house in Kerala. It showed a fearsome man atop a horse slaying what looked like an endangered animal. I could almost imagine my plight in St Michael’s charge. St Michael (flexing his muscles and doing sit ups): Now look here young lady I am a very busy saint. St Michael: I rid the world of all the demons. St Michael: Don’t create unnecessary work for me understood? St Michael: You make one mistake and I will eliminate you in a fake demon encounter understood? I was a good girl after that for some time, till tragedy in the name of secondary school struck! It was History exam day. Me (looking at the question paper): Wotszis Battle of Panipat!!! Long suffering history teacher: If you remember dear, it was taught in September! Me: Really? I don’t remember! Teacher (gently): It was the day you and Nina and Natasha were talking about Shah Rukh Khan’s biceps. Me: Yes!!! I remember now! Another ‘inspirational’ peep and I was hauled up, yet again in front of Princi. Now Secondary School had another Princi. This lady would have been the person Hitler could have consulted for all his ‘disciplinary needs” had he been alive today. Hitler: *grumble* Reverend Sister, these prisoners of mine are such a disobedient lot!!! They won’t stand in line in front of the firing squad. Reverend Sister: *beatific smile* Don’t worry dear, I have tamed worse. After all I am the Principal of a Convent School! Reverend Sister to prisoners: Now all those people who don’t stand in line will have to say 25 ‘Hail Mary’s’ and 30 ‘Our Fathers’ and 45 ‘I Believes’! I shall not get into the nitty gritty of my meeting with this Princi folks, but I never ‘cheated’ again after that. But hey you know what? I know the entire Bible by heart and it took me “only” 2 years to finish writing it down as imposition for 'cheating'.